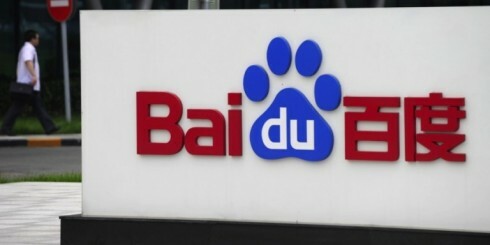 Baidu has announced that it plans to work with Mobileye to integrate and commercially deploy Mobileye’s Responsibility Sensitive Safety (RSS) model in both the open source Project Apollo and commercial Apollo Pilot programs. Baidu also announced plans to adopt Mobileye’s Surround Computer Vision Kit as the visual perception solution; it will be integrated as part of Baidu’s proposition to the Chinese OEM market. The safety collaboration between Mobileye, an Intel Company, and Baidu is a significant strategic success for Mobileye’s RSS model, which was published last year, and will help deliver a safe driving solution for autonomous vehicles (AV) on China’s challenging roadways. What It Is: Apollo is designed to be “an open, secure and reliable self-driving ecosystem” that can help members of the autonomous driving industry quickly build their own complete autonomous vehicle systems. It has enlisted 116 global partners since its launch a year ago. RSS is an open and transparent formal model that provides safety assurance of AV decision-making. RSS does this by formalizing common sense human-centered concepts of what it means to drive safely. Examples: always maintain a safe following distance and right-of-way is given but not taken. The Mobileye Surround View Camera kit includes 12 cameras positioned around the vehicle plus Mobileye’s computer vision (CV) hardware and software, which leverages the cameras combined view into a unified and comprehensive CV solution for autonomous cars. Why It’s Important: The decision-making systems in autonomous vehicles today are based on artificial intelligence (AI) – meaning they operate probabilistically and can make mistakes. When it comes to safety and the lives of passengers, a probabilistic model is not enough. That’s why Mobileye recommends adding a separate, deterministic layer on top of AI-based decision-making solutions in autonomous vehicles today. Baidu and Mobileye will collaborate on the verification of RSS’s formal model to the unique driving styles and road situations of the China market, and will jointly publish updates to the RSS model as this work results in new discoveries. “At Mobileye, safety assurance of automated vehicles is one of the most important issues facing the AV industry, and we are pleased Baidu has agreed to join us in this effort to deliver verifiable safety of AV decision-making into the China market,” said Jack Weast, chief systems architect for Intel’s Autonomous Driving Program. Why It’s Different: RSS was first proposed in 2017 by Mobileye CEO and CTO Professor Amnon Shashua and is an open, transparent and technology-neutral starting point for the industry to align on what it means for an AV to drive safely. To put it simply: While planning gets you from point “A” to point “B,” RSS helps keep you safe along the way. How It Works: RSS formalizes human notions of safe driving into a verifiable model with logically provable rules, defines appropriate responses, and ensures that only safe decisions are made by the automated vehicle and that the automated vehicle will do everything it can to avoid being involved in unsafe situations initiated by others. Mobileye’s RSS formulas will be integrated into the existing safety model (known as “DPS”) of Baidu’s Apollo Pilot. Apollo Pilot is Baidu’s deployment version of Project Apollo and is being developed for multiple Chinese OEMs.